Not only is the world of industry changing, but also that of the world of sales: the revolution in production processes today requires specific factory skills, while at the same time the commercial sector also requires increasingly complex professional skills to best represent the company in the international market. This is why we have introduced a new proposal, a course of orientation, training and professional development aimed at young graduates who wish to start an international career in the field of sales. Rodacciai Academy is the project that has characterized our human resource management policy for several years. There are two distinct paths, dedicated respectively to professional training in the production and maintenance areas, which have had a total of 9 editions. The participation of as many as 176 under 30 year olds, 97% of whom are currently employed, in Rodacciai or in the other local companies. The company, founded in 1956 which has its core business in the production of special steels, inaugurates a new path dedicated to managing the relationship with the customer. "It is the new response to the mission that has always been in our group's objectives: to train motivated and qualified personnel”. - emphasizes Andrea Roda, the spokesperson for the third generation of the Roda family and involved in the group's commercial development projects – “The figure of the commercial representative today is not only limited to sales: it provides the client with a consultancy service, gauging the customer’s needs and gives answers regarding what the company is able to provide in terms of products, they are in fact the brand's ambassadors. For this reason it is essential that the personnel is adequately trained and that their work is in line with the marketing and business development strategy ". The Sales Academy is designed according to an innovative teaching approach based on learning through experience, with particular attention to technical training, entrusted to an exceptional tutor, Ing. Mario Cusolito, formerly Quality Manager of Rodacciai and today President of the Technical Commission UNI / CT700 / SC25, the standardization body for steels. The other cornerstone of this path is the “soft skills”: from the enhancement of communication and relational work skills, to the management of the relationship with the customer, consolidating what makes it possible “to make a difference” in the level of the service offered. 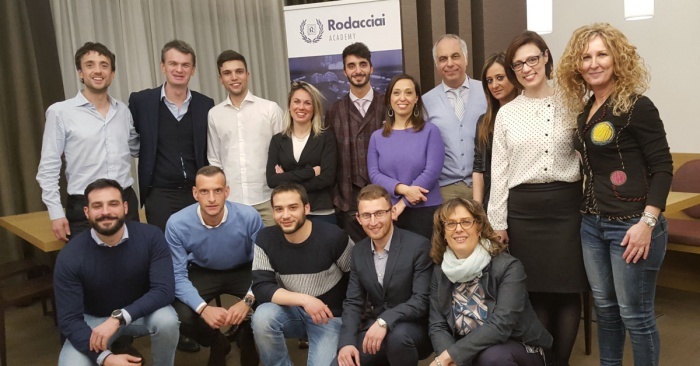 The protagonists, once again, are young people: the new Academy is in fact dedicated to young talents up to the age of 29 who are offered a structured path in the Rodacciai commercial network, which will start on March 5th. The duration of the course is 30 months and includes three phases: one month of full time training in the classrooms at the University of Milan located in Bosisio Parini (LC) and then completed and finessed in the field in our Italian and foreign branches. "Ours is a reality in constant transformation, where people count” - concludes Mauro Califano, HR director – “over the years we have been able to demonstrate an exceptional competence in managing the generational shift, integrating the knowledge and experience that distinguishes our professionals, with the innovative drive of young people today ".